Whether you’re an avid runner or just hoping to move more during the workday, it can be hard to stay motivated. Luckily, fitness trackers help you stay on track with an active lifestyle by tracking your steps and prompting you to move after periods of inactivity. But with so many fitness trackers to choose from, how can you know which one should you buy? We spent two months becoming workout buddies with 10 of the most popular fitness trackers on the market. Our favorite was the Fitbit Charge 2. 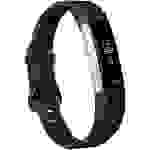 But this past October, Fitbit released the Fitbit Charge 3 (available at Amazon for $149.00). So we got one right away, put it through all the same tests, and we're not surprised that it outperformed its predecessor. We took a lot into account when testing the trackers: ease of use, in-app experience, motivational prompts, and comfort. We wore the trackers to work. We took them to fitness studios, from Pure Barre to Soul Cycle to kickboxing. We even wore them to sleep. We became one with these fitness trackers, and they became one with us. Here are our picks for the best trackers—and how to find which one is right for you. Anyone looking for a tracker to motivate them into more activity. 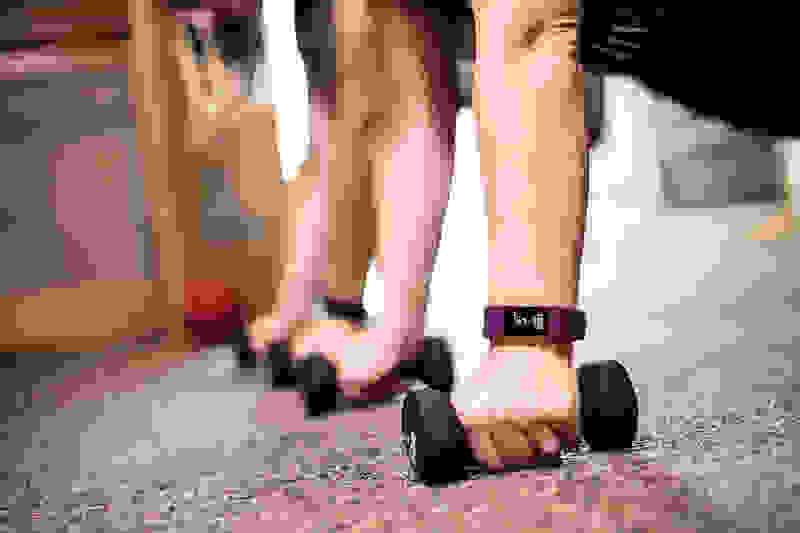 Fitbit's constant notifications to move, its massive battery life, its easy-to-use interface and app, and its community of users make it top-notch. Very easy. You can view all of your stats (steps, heart rate, calories burned, distance moved, etc.) on the tracker, and its side button makes it easy to switch between what is shown on-screen. These stats also sync to the Fitbit app, so you can track everything there in greater detail too. The Charge 3 now comes with both a small and large band, so there's no guesswork before you order to get the right size. It's very comfortable, and because it's now waterproof, you can wear it in the shower (and the pool) without worry. I've personally owned every Charge fitness tracker with heart rate monitoring, and they have only gotten better. What really stands out with the Charge 3 is the battery life. It lasted 10 days the first time we charged it and continued to impress us. It's also waterproof at long last, and you can enable notifications for texts, calendar events, and weather updates in addition to move reminders, breathing reminders, and call notifications. 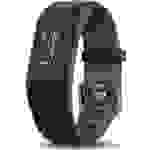 While this is the best fitness tracker, and the best version of the Charge, it's not perfect. It has to be synced regularly for the weather app to work (though that encourages you to sync your data). And if it needs to be reset, you have to connect it to the charger and try to push the "button"through a small window in the charger, which isn't impossible but is also not very user-friendly. Thankfully, these are secondary functions that won't affect your overall experience. I have always struggled to get "enough" sleep. I blamed it on not getting enough REM sleep and pretended like I knew what I was talking about. The Charge 3 taught me that I actually get the right amount of shuteye, so it's clearly another factor that makes me wish naptime was more acceptable in the workplace. Thanks to the heart rate monitor, Fitbit can break down your sleep into four categories: Awake, REM, Light, and Deep. It also shows you trends over time and gives you benchmarks to show you how your sleep measures up to the typical experience for people like you. Editors' Note: We still love the Charge 2, and if you don't care about waterproofing or extra notifications, you can almost always find the Charge 2 for $30-$50 less than the 3 at places like Amazon, Target, Walmart, and eBay. At least until retailers move the last of their inventories. 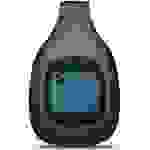 Anyone looking for a basic tracker to monitor their daily steps. The Garmin Vivofit is perfect for someone who isn’t great with technology, since you don't need to use an app with it (and the battery lasts forever!). The easiest to use of all the trackers I tested. All you have to do is press the button to switch between your activity stats on the display screen. The tracker is comfortable to wear, but it fell off three times while I was working out due to sweat and movement. However, this tracker is great for tracking casual activity—so if you’re not using it to track rigorous workouts, it’s a fine pick. The battery life. It lasts a full year. One full year of glorious battery life. I hate having to charge these things, making the Vivofit is a great option. Other than the fact it kept falling off my wrists during workouts, I wish it tracked heart rate. It’s also not waterproof, so you have to remove it to shower. A very close runner-up to our Best Overall. 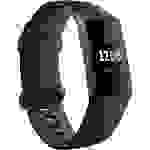 Anyone looking for a sleek, inconspicuous fitness tracker for both casual use and working out. I had no issues scrolling through the tracker's display with my finger, and my activity and heart rate stats synced to the app perfectly. I wish the app was a little easier to navigate. This tracker is the perfect size. It's smaller than the Fitbit Charge 2 and 3, but it's still big enough to have a display screen that is easy to read and navigate. It was so comfortable that I forgot it was there. It’s waterproof! This means you won't forget to put it back on after you shower—and you won't miss out on shower steps. Unlike Fitbit’s app, the stats for your daily activity are not all shown together on the app's main screen. You have to click go into each tracked item separately to view it. As a former cheerleader and dancer who had practice daily from childhood through college, dedicating time to working out each week is ingrained in my lifestyle. In fact, it's something I have to make time for, since being active helps relieve my chronic neck and back pain from fibromyalgia. But with a 9 to 5 desk job that keeps me seated most of my weekdays and an always-packed schedule that often leaves me too exhausted to function, it can be hard. I know I need to be more active: I just need the motivation. That is how I tested fitness trackers: as an average consumer looking for extra motivation to be more active and fit. 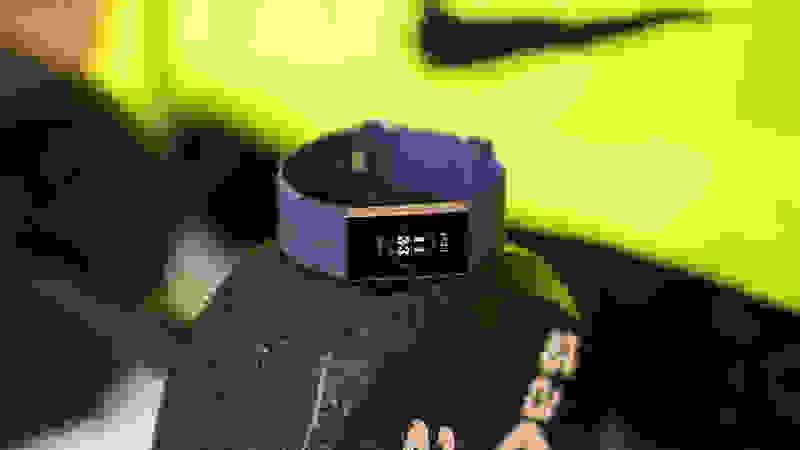 But unlike an average consumer, I teamed up with our senior scientist to test and score fitness trackers on a calibrated rubric to find out which one really was best. 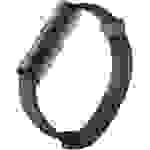 I first narrowed down the field to 10 of the most popular fitness trackers on the market, all at different price points. Then, I spent a few days wearing them. I didn't just test them during my workouts, though. I tested them casually too, even while sipping on iced coffee and scrolling through my phone (my specialty). While wearing them, I paid attention to usability, fit, and app experience. I wore them during Soul Cycle classes, on long walks, and at Pure Barre. After I was done, I gave each tracker a score, weighing certain aspects higher then others. For example, the usability of each tracker was weighed the highest, while the look and feel of each tracker was weighed lowest. After each one was fully scored, the Fitbit Charge 2 and 3, and Garmin Vivosport pulled ahead of the pack—with the Charge coming in first place because of its phenomenal app experience. The Fitbit Flex 2 is perfect for anyone who wants to track activity without wearing a bulky tracker. It has no display screen, meaning you can only view your activity stats on the app. If you're tech-savvy, it's extremely easy to use. 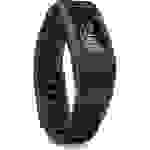 You just wear it and sync it to the Fitbit app on your phone. It's a comfortable fit, but it did fall off once when I was working out because I was sweating and moving around a lot. For that reason, I wouldn't recommend this as a tracker for intense, rigorous work outs. 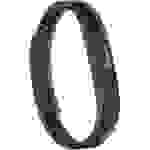 However, it's a great basic tracker for those who don’t care about being able to view stats on your wrist. It's also waterproof, which is a huge perk for swimmers (and those who shower). The Zip is great if you're looking to track casual activity and don't want to wear a band on your wrist. You can clip the Zip to a belt or bra or put it in your pocket to keep it hidden. It has a long battery life, is easy to use, and you don't have to sync it to your phone unless you want to use the extra perks of the app, like being able to see the history of your activity and adding your daily food intake. The clip was difficult to use: During a spin class, the tracker flew out of the clip attached to my shirt and slid across the room. I also had trouble opening the back to insert the battery. It took me two hours with multiple people helping to get it open. A bonus perk of the Zip: it looks like a Tamagotchi, so I give it extra points for nostalgia (I'm just kidding—I didn't really give it extra points). Samsung’s Gear Fit2 Pro is great for people who want to have the look and feel of a fitness watch without the enormous size. My favorite thing about it is that you can easily log your workouts right on the display. I had two big problems with it, though: the fit was extremely uncomfortable and you have to download two apps in order to connect it to your phone. Also, the app is not as intuitive as the Fitbit and Garmin apps. I wanted to like the Alta. It's fashionable, loved by Oprah, and between the sizes of the Charge 2 and 3 and Flex 2. However, I didn't love its touchscreen display. I had to tap it about five times to get it to switch out what was on the display. If I could navigate the display by swiping or pressing a button, I would potentially love it, but we recommend the Charge 3 for now. The Moov Now is an affordable, comfortable tracker made for monitoring workouts—not steps and casual activity. 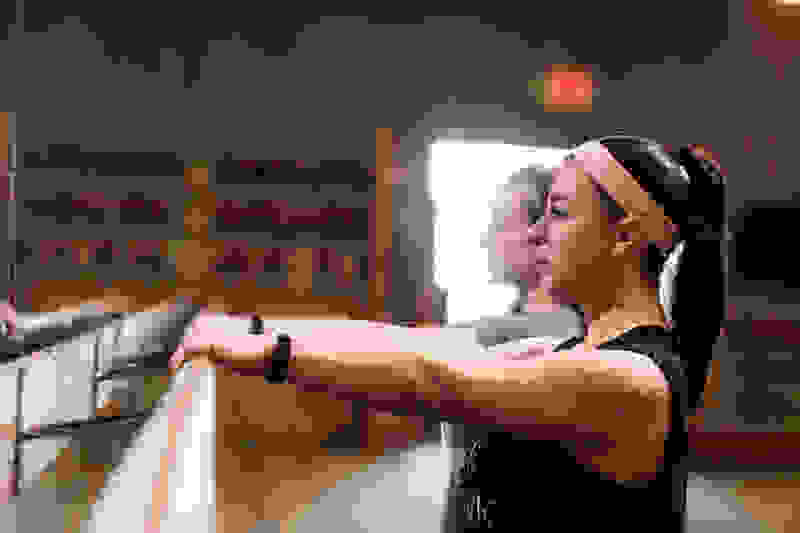 I love that it offers tailored coaching for activities like running, indoor cycling, swimming, and boxing. 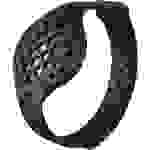 It comes with two band sizes, so you can choose to wear it on your wrist or ankle. I really wish it had a screen, but it's also lacking in style: covered in small holes, it is the Crocs shoe of fitness trackers. The Misfit Ray is for people looking for a stylish bracelet first, and a fitness tracker second. However, even at a hefty $80, Misfit Ray's app is not easy to use—and you have to use it to view your stats since the tracker lacks a display screen. The new Fitbit Ionic is a smart watch—not a fitness tracker—but we checked it out anyway. With a gigantic display and wristband, it was extremely uncomfortable to wear: I wanted to take it off the minute I put it on. Worse, the display’s functionality is not worth the discomfort. 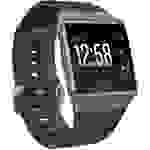 Everything I want to track (steps, heart rate, calories burned, etc. 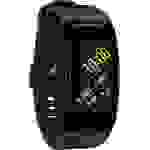 ), I can track on the smaller Fitbit Charge. 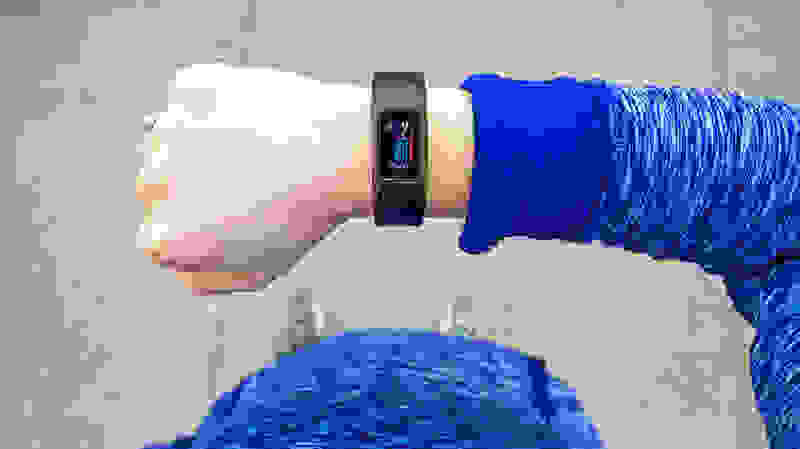 If, in the future, I want a smart watch to track my workouts, pay for my coffee, and hold all of my music, I would still only consider the Ionic if it were more comfortable.